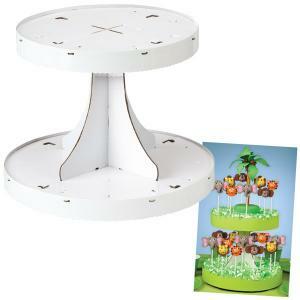 2-Tiered Pops Display Stand - Wilton Holds up to 28 pops - 12in diameter x 9.5 in high .. Bag Twists Blue Approx 100. Bag twists, blue, 8cm .. Bag Twists Cerise Approx 100. Bag twists. Cerise. 8cm long. .. Bag Twists Gold Approx 100. Bag twists, Gold. 8cm .. Bag Twists Green Approx 100. Bag ties. 8cm long. .. Bag twists. Red. 8cm long. .. Bag Twists Silver Approx 100. Bag Twists. 8cm long. 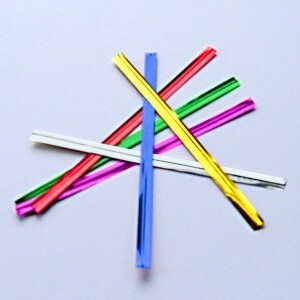 ..
Cellophane Sweetie Bags - Pack of 100 (with expanding sides) Approx size: 7.5 x 4.5 x 20cms. .. 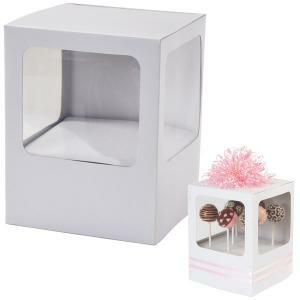 Pops Gift Boxes 2 pack - Wilton Show off up to 8 decorated pops - 8x6.25x6.25inches ..